For sports fans, myself included, Spring is a wonderful time of year. Of course there’s March Madness and tons of college sports championships, and the NHL, and NBA playoff picture is shaping up. And then there’s baseball. Whether you’re a fan of “Mad-Bum” or “King Felix”, a sense of hope, history, and excitement brews for every baseball fan. For San Francisco Giant’s fans, the anticipation is particularly high because it’s an even year and the pitching rotation looks to be formidable again. Three World Series wins in the last five years, smart moves in the front office and higher ticket sales have enabled the Giants to reload with talent. Across the bay, Oakland Athletics fans continue their nervous vigil and hope that perhaps maybe this year Billy Beane will strike gold in his statistical quest to win the last game of the season. To me Beane is an entrepreneurial hero in the way he’s operated on such a lean budget and has still found a way to succeed in an unfair system. Oakland, with all of its character and with enormous passion from the fans is still a tough city in which to build a successful and lucrative sports franchise. Other teams around the league have the luxury of throwing money at their problems and select players on body type and other surface statistics; Billy does not have that luxury. Having only 1/3 the payroll of the tops teams, Billy has defiantly stared the system in the face and found a way to win through better analytics. He was forced to deconstruct the value points of the game and reinvent the way players contributed toward the win. Instead of relying on massive forearms slamming balls out of the park, and 100 mph flamethrowers on the mound, he’s taken the path less traveled, through the messy scary forest of statistics. Today he lives there comfortably, measuring aspects of the game that previously no one thought to measure or understand. The Fire Service faces the same opportunity that baseball once did. It’s no secret that the US Fire Service has an Oakland A’s budget. Like the As, the Fire Service could be looking beyond the surface indicators of emergency response and exploring deeper through the metrics of incident management to assess performance and find a more perfect approach to public safety. At Tablet Command we are inspired by Billy Beane. 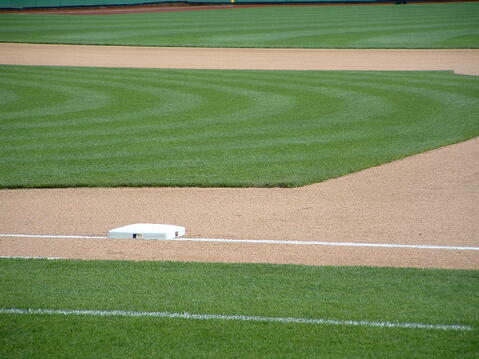 In emergencies, we see our version of homeruns and strikeouts everyday; we see our wins and sadly we see our losses. These are incomplete data sets as we have yet to measure the smaller imperative information points that lead up to these critical outcomes. Our game is truly life and death. The lives of our occupational athletes are on the line everyday and we must compel ourselves to deconstruct the different value points of every emergency to make us safer. With modern technology like iPads and mobile incident software solutions like Tablet Command, this is possible now. What are you doing to move the fire service into the modern age? Want to join the conversation? Get in touch with us, we want to talk.